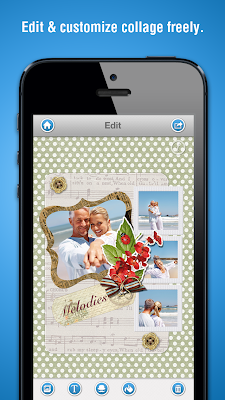 Picture Collage Maker is an amazing collage-editing app for iPhone and iPod Touch that allows users to give their photos a creative touch and a professional finish. 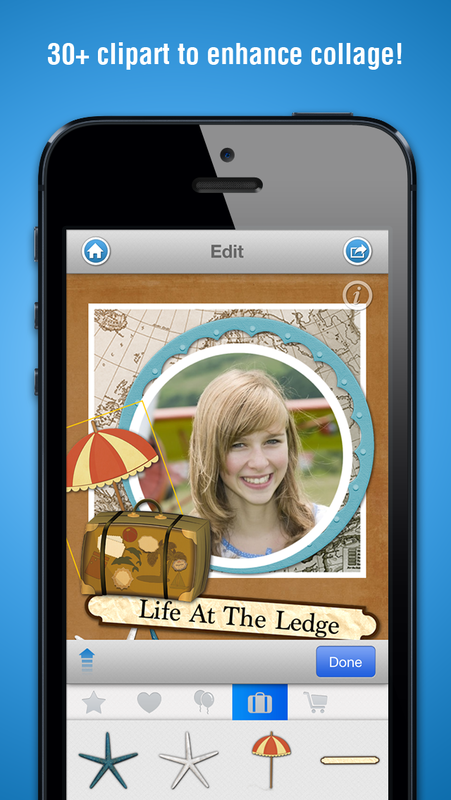 Picture Collage Maker is now available on the iTunes Store for free thanks to sponsor support from PearlMountain Technology. The latest version 1.4.0 is better than ever – because there are more theme packs and art resources available in Picture Collage Maker for iOS. If that isn’t quite enough, the comprehensive app added Facebook integration that allows you to import your favorite photos from Facebook directly and to view your Facebook friends’ collages in the app. Moreover, the delicately designed collages can be shared on Facebook, Twitter, Tumblr and Flickr simultaneously. 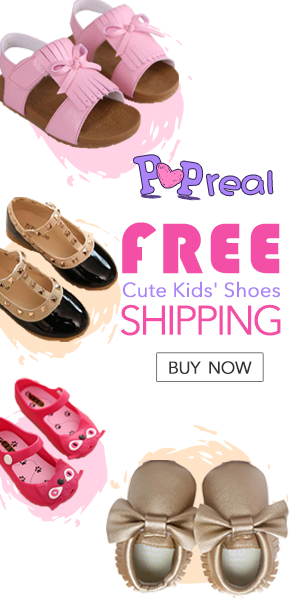 Besides, there are many more other features included. 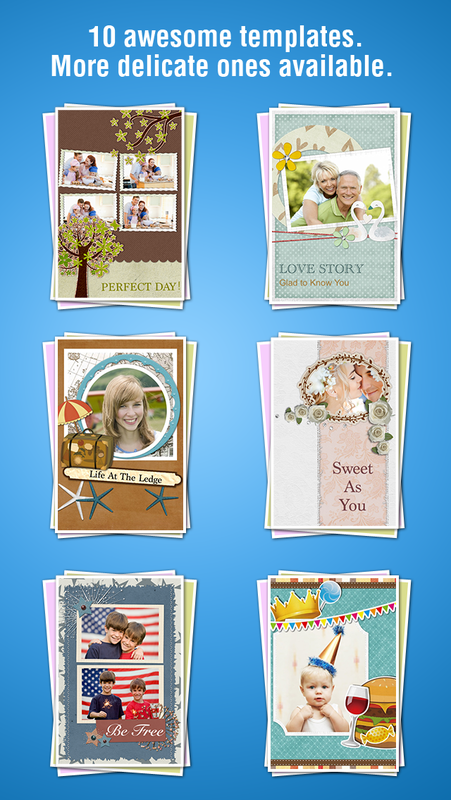 With the newly updated 3 additional theme packs: Love, Travel, and Party, there are 13 templates in Picture Collage Maker for iOS. Meanwhile, you have various options to decorate your collage with frames, backgrounds, texts, and stickers chosen from 100+ art resources. It contains totally 13 frames, 13 backgrounds, and 115 stickers. If you fancy playing with Kuso, Picture Collage Maker will never let you down. The amusing Kuso package can easily be got by completing a simple mission in the app. Besides adding photos from Library or easily capturing photos with the camera, Picture Collage Maker for iOS 1.4.0 improves its photo-adding option for adding photos directly from your Facebook album. 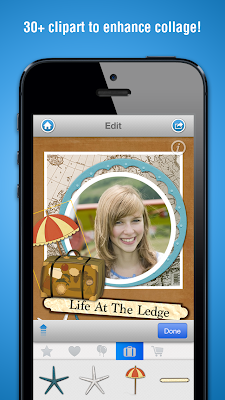 When you edit your collage, if you delete an object mistakenly tap undo tab to go back to the last step. 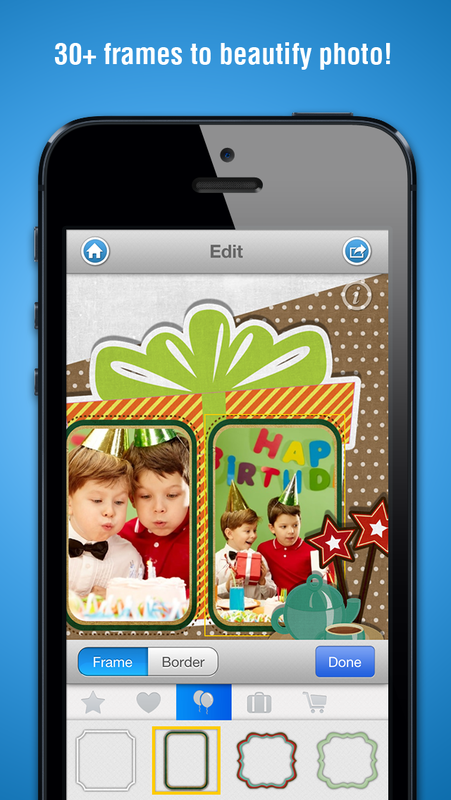 Once you login your Facebook account, you can appreciate and "Like" the collages shared by your Facebook friends within the app freely. When you are satisfied with your collages, share them on Facebook, Twitter, Tumblr, and Flickr simultaneously by just one tap or share them to some of the social networks you like. 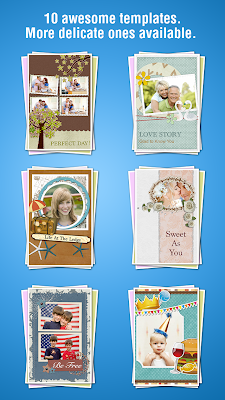 Or simply save the collages to Library or share the collages with your friends and relatives via email. Additionally, save them as project for future editing. Photography enthusiasts, are you tired of looking at those mediocre pictures? Don’t just think they are ordinary pictures! 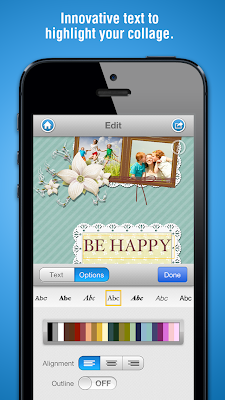 Picture Collage Maker will help you make them amazing on your iPhone or iPod touch within a second. Take a look and download it for free on iTunes Store: http://appstore.com/picturecollagemaker .